Our bathroom clock grew out of frustration with our perpetually incorrect bathroom scale. 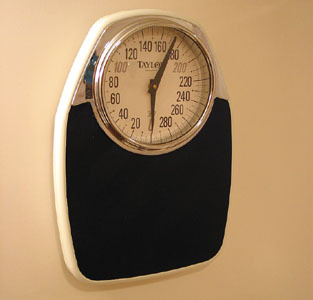 Your weight would vary by ten pounds or more depending on which foot you placed on the scale first. One evening I quickly pulled out the internal spring, threaded a spare clock movement onto the dial and hung it on the wall. It's more useful now than it ever was before and always gets a laugh from visitors.